ICICI Bank is one of the reknown Bank in India. ICICI Bank provides a lot of good services to their customers. Recently ICICI Bank had started a very good service to their customers for paying their postpaid mobile bill by sending a simple SMS from their registered Mobile Number. 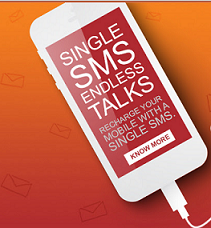 Customers can pay their postpaid mobile bill by sending below SMS to the number 9222208888. For example - If you want to pay the bill of your Airtel mobile number 1234567890 of amount 110 rupees then you need to send the below SMS to the number 9222208888. Here last 123456 is last 6-digit of your ICICI Bank Account Number. Note :- Please do not use the space in your telecom operator name. SMS texts are not case sensitive, you can use the upper case or lower case letter. Maximum amount recharge per day is 1500 rupees.